Position yourself perfectly on social media with specialised tools and social analytics. We work to optimise your social media activities in marketing and communication throughout the entire value chain. As a leading media intelligence provider in Germany, Austria and Switzerland, we find and analyse content that is relevant to you from a total of 300 million online and social media sources across the globe. Your data is delivered on our all-in-one platform, ARGUSavenue. You will receive in-depth insights for your digital marketing, PR and communication through our tailored analyses, partner tools and through consultation with our digital analysts and consultants. The volume of data on the internet is growing exponentially. Regardless of how much content you publish, online monitoring tools can provide you with valuable insights with various applications. 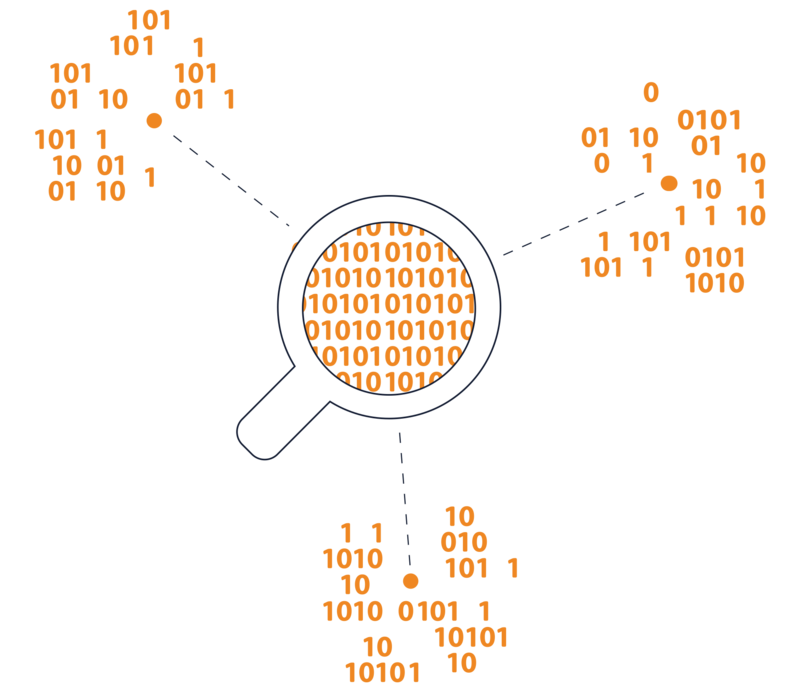 This is how big data transforms into smart data! Answering important questions in relation to online and social media monitoring in an efficient and data-based way is almost impossible without specialised monitoring tools. However, just selecting the right tool for the job can prove to be a significant challenge, a game of chance even, without the necessary expertise. It can be even more difficult to decide which media sample to monitor or how to measure the relevant KPIs. The tools alone cannot solve problems; it is only with the correct settings and workflows that they become invaluable in helping you reach your goals. Specialists at ARGUS DATA INSIGHTS Schweiz provide advice on an individual basis, establishing your wishes and the challenges you want to overcome, and providing you with invaluable recommendations. ARGUSavenue, our all-in-one platform, provides the perfect solution for comprehensive online and social media monitoring with its own crawlers and ARGUS DATA INSIGHTS’ many years of expertise. All of the results can be analysed directly and sent in reliable, individualised reports together with print and radio/TV results. For clients who want to get even more from their online and social media monitoring, the tools on ARGUSavenue can be expanded to include social media solutions from leading partners. These are integrated into the all-in-one platform. Data is automatically compiled, evaluated and structured using artificial intelligence and machine learning technologies. Even the best monitoring tools are of little benefit without specialist expertise and a professional set-up. With our many years of experience handling various monitoring tools, we can offer you comprehensive, individual and competent advice regarding the strategic creation and expansion of professional online and social media monitoring. We provide you with support setting up your tool and further support and consultation services which you can use to reach your full potential. As an independent consultant, we recommend tools and solutions which will bring you the greatest benefit. We know the market, the players and the tool providers. We draw up, test and optimise strategically appropriate search syntax, data prioritisation and reporting. We also supervise the set-up of your tool and the distribution of content. We produce visually appealing dashboards to display data from media monitoring in your company’s layout. The dashboards can be produced for smartphones or for larger displays. Your ARGUSavenue newsletter can be personalised. Everything from the design, so that it matches your company’s layout, to the order and level of detail of results can be changed. RSS and HTML feeds can be personalised, expanded and integrated flexibly into your intranet from the ARGUSavenue platform. Our range of analysis instruments makes it possible for you to get the answers you need to any questions you might have regarding your online and social media presence. We compile social listening projects compactly and analyse online discussions and their participants. Our comprehensive reports contain our experts’ knowledge and recommendations which facilitate data-based decision-making. The analyses produced by our specialists address marketing, business communication, brand management and business strategy. We cover global and public communication on the most important social networks such as Facebook, Twitter, Instagram and YouTube. In addition, we monitor the online presence of newspapers, TV channels, radio stations, blogs and forums. In total, we monitor more than 30 types of media. Who is discussing what, with whom and how. What topics are on trend in my sector or among my target group? What was the impact of my last campaign or how strongly did I influence the discussion regarding my brand? Which issues are present in the social media discussion about my central areas of interest and how do I perform compared to the competition? With TrendScan by ARGUS DATA INSIGHTS, you get inspiration for new products and services, campaigns or content before everyone else. Influencer analysis investigates the most influential authors who you need to know. Which accounts are writing about you on what platforms? How active are these accounts and what thematic points are they publishing posts about? Social channel analysis provides, for example, information about the activity of an account and its target group. How many posts are published and which ones are followers reacting to? How good is follower engagement? How successful is your content strategy? On what days and at which time are activities most successful? How well do you know your audience? We will reveal a few things, such as: gender breakdown, age groups, areas of interest and countries of origin. Do the people talking about you and your business match up with your target group? 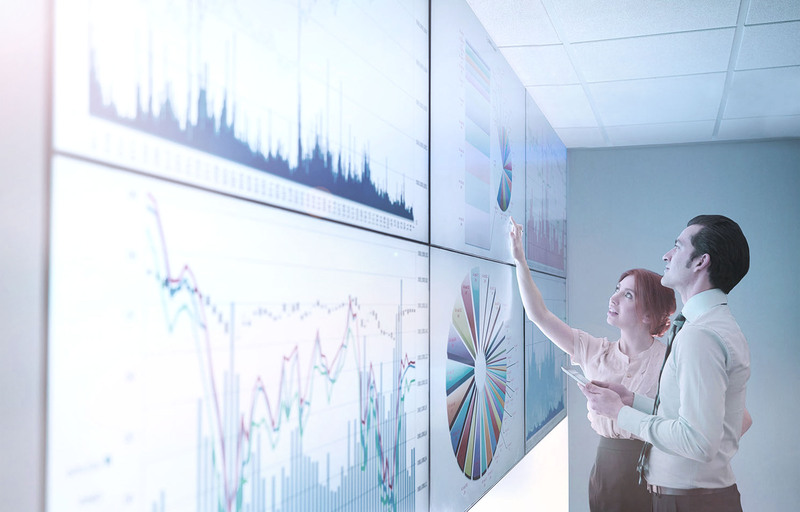 In every area, be it monitoring, analysing or reacting, ARGUS DATA INSIGHTS Schweiz offers you tailored products, individual expert services and professional tools. We compile individual solutions to help you overcome challenges and achieve your goals. Using the new engagement tool on our all-in-one platform, ARGUSavenue, you can orchestrate and optimise your content marketing in the simplest of ways across all important social media networks. Over 90 per cent of all businesses in Switzerland are active on social media. Many continue to use Excel spreadsheets in order to maintain an overview of who, when and what has been published or must still be posted. Others are using a plethora of tools and cultivate their social media channels individually. With the new Engagement Tool on the ARGUSavenue platform, you will be able do all of this and much more with just one tool. Social media engagement made easy! Maintain an overview of your social media channels. 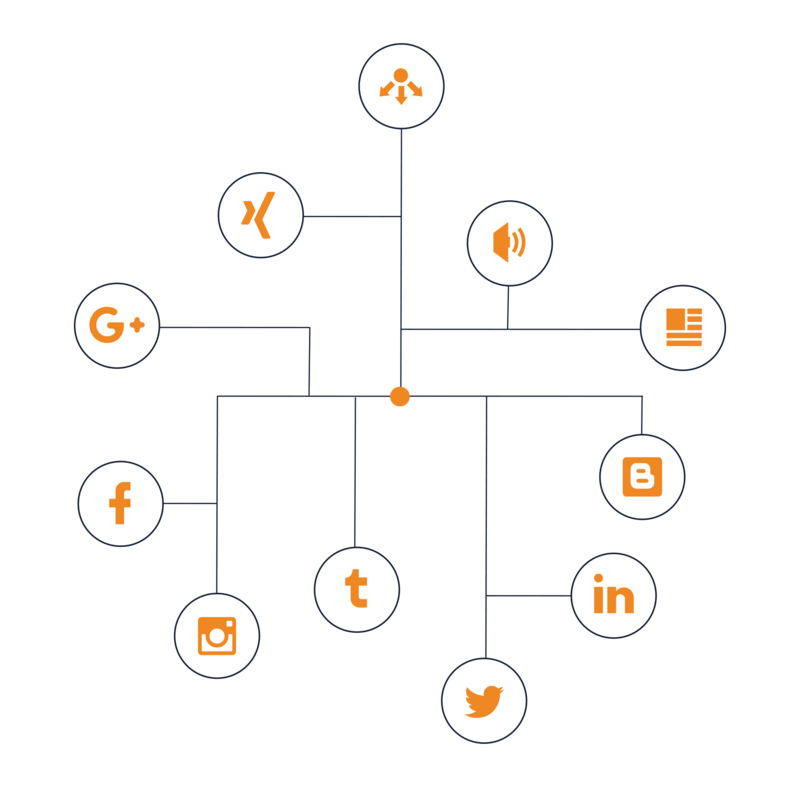 Manage your social media channels efficiently. Increase customer satisfaction and recognition of your brand. You want your content to be well received on social media channels. With valuable insights on new content ideas. 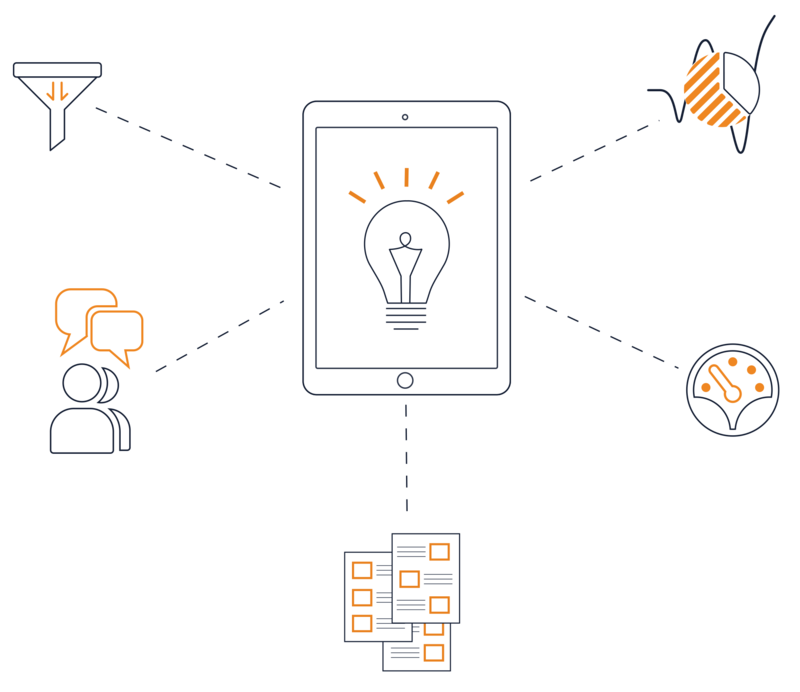 Simplify your social media and content management workflows. Please contact us. We would be happy to provide you with a non-binding quote tailored to your needs.